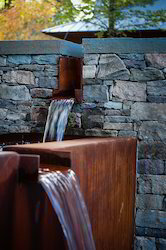 Through our panel of designers and consultants, we specialize in delivering the most aesthetic and beautiful water features. We have the people, processes and technologies to bring your ideas and visions to life. We efficiently undertake fountain turnkey services like fountain landscaping, wherein we offer comprehensive services right from designing the fountain structure, to execution to installation of them same. Garden fountains enhances the look of garden or patio and that is the reason why a garden landscape needs a fountain. Outdoor fountains are a great addition to any landscape. We provide Services for Pune Location only. We are the leading service provider of Fountain Landscaping Designing. World over we are known for infusing originality & creativity that is beautifully manifested in our range of Garden Fountains. Distinct designs by our creative team on natural marble stones are simply a work of art & elegance. We provide painting/ sketches as per the demand.